Recently I've been rediscovering my love for makeup and all things beauty. A few weeks ago I attended The Makeup Show in Los Angeles where I acquired a few goodies. I literally have a tote full of new products to try and review. I wanted to start with a new foundation I bought at the show. I've been a loyal user of BareMinerals for many many years. I have not used any other foundation for about 6-8 years and just last year decided to try a few new (to me) products. I was searching for a new foundation and after testing a few decide to buy the PUR Minerals Liquid Veil 4-in-1 Spray Foundation. Actually PUR Minerals was one of the few vendors who took cash and gave me a 50% off discount, that was enough for me to say YES! Also the idea of a spray can foundation was intriguing to me and visions of spraying my face with foundation thrilled me. I imagined a few sprays of the foundation on my face and voilà, I would have a perfect flawless application of makeup. OK so my dreams were shattered a bit when I was told you don't spray foundation directly on your face. I suppose you can but don't expect a flawless face of anything! Keep reading for my full review and experience with this foundation. This Liquid Veil Spray Foundation isn't new to the market, but its new to me. Spray foundations have been around a few years, but you don't seem to hear too much about them. I had to try it out for my self, especially since PUR Minerals claims to give you "close-up worthy flawless coverage in a flash." Anything that can give me great results quickly is the product for me. Once I received a mini tutorial on how to properly apply this foundation by the staff at makeup show, I was excited to get home and play. 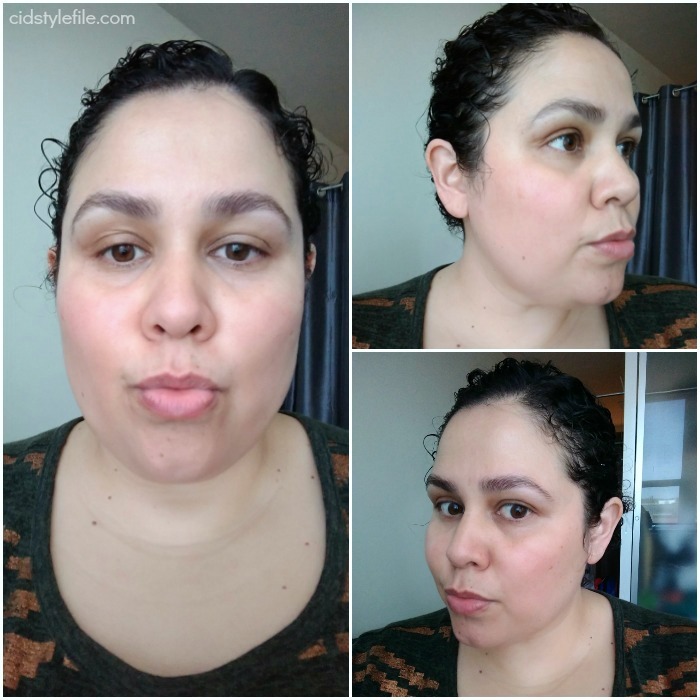 How do you apply spray foundation? Application is fairly easy, spray small amount of foundation on brush or sponge. I prefer to use a foundation brush, but make sure you shake can well before spraying. Then you can buff over entire face and apply as many coats as needed to get the desired coverage. This foundation is light to medium coverage, I usually apply one coat on most days and two for days I want more coverage. Foundation is very light weight and feels dewy when freshly applied. Pro-Tip: Spray foundation into the cap and stick brush into cap to grab foundation. This will help keep more of foundation on your brussh, since it does have a bit of over spray. My skin has a few dark spots and redness on my face as you can see in the picture below. I have also noticed a few more fine lines and can say I have maturing skin. I prefer a light weight foundation due to my dry skin as well and feel it looks better on dry/mature skin like mine. Will it really give me an airbrushed finish? With age-defying Ceretin Complex and moisture rich Liquid Crystals, this spray foundation is said to give you a satin airbrushed finish. You know I had to put those claims by PUR Minerals to the test. In the picture below I am wearing the foundation only, applied two coats over moisturizer and primer. You can see that the foundation has covered the redness and dark spots as well as the moles on my face. This foundation doesn't have a wide range of colors, only comes in light, medium, tan and dark. I chose the medium tone for my color. I could have gone with the light color, but prefer to add a bit of color to my skin since I am fairly light and do not tan easily. 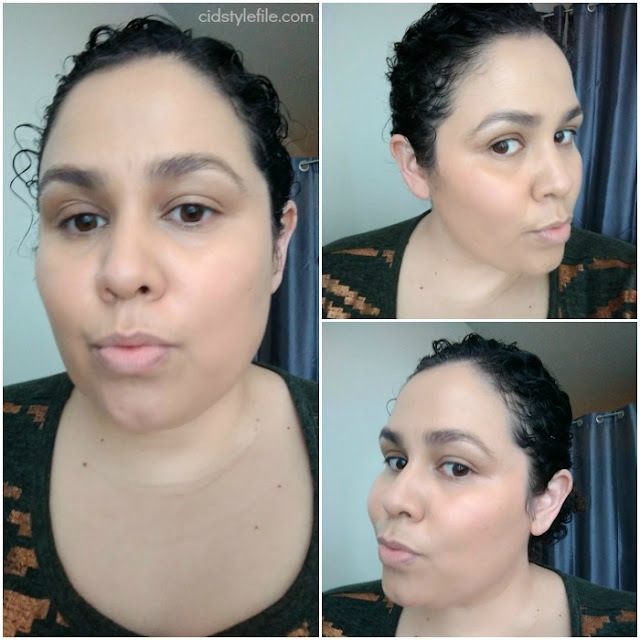 When I wear light colored foundation, it seems to wash me out and end up applying tons of bronzer or trying to add color with other products. If the medium color doesn't seem too dark I always go up a shade in foundation. On the website the foundation claims to give you an airbrushed and satin smooth finish. Final results after adding concealer, powder and rest of the products. I loved the finished look using the Liquid Veil Spray Foundation. PUR Minerals website claims you get "airbrushed perfection in a flash", and I think it does deliver. Having a foundation that is very light weight and feels like I am not wearing makeup is very important to me. This foundation does not feel heavy at all and does not seem to seep into my pores or fine lines. Foundation was easy to apply and seems to cover most of my imperfections well. A few things that I found that were bothersome, is the over spray you get when applying. You do get a bit of over spray and need to be cautious when spraying, it can get on clothing or anything else around you. Due to this reason its best to spray foundation into cap of can in order to avoid the over spray. Another thing I encountered is the foundation tends to dry quickly once its sprayed, you will need to apply it as soon as possible. 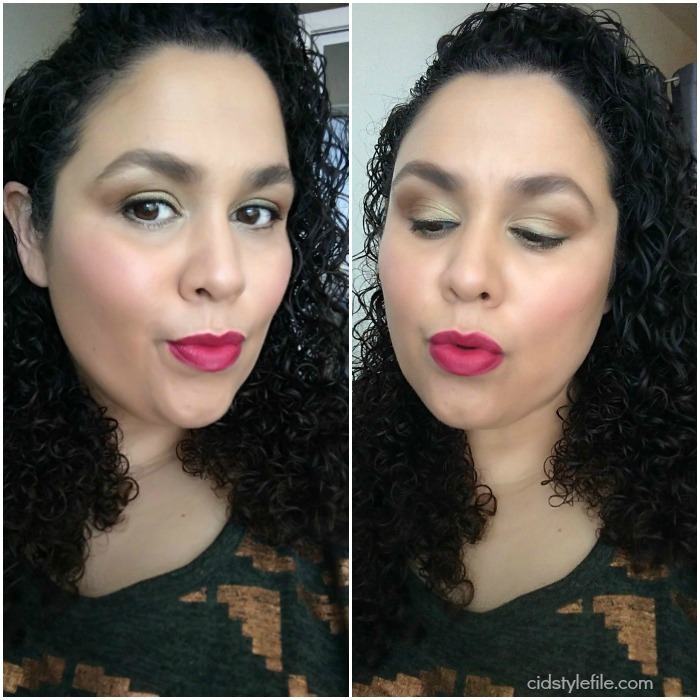 If you wait a bit too long the foundation dries and doesn't seem to apply as well on skin. I found for best results to apply it quickly after spraying and doing small sections or area of my face to avoid drying. There are many things I love about this foundation and some that didn't make me too happy. Overall this foundation worked well for me and I loved the finish. I would recommend it for any one who wants light coverage and easy application with great results. Liquid Veil Foundations is $39 and can last for about 3 months if used daily. Although I bought the foundation at a discount during the Makeup Show, I would buy it again and the quality is definitely worth it. 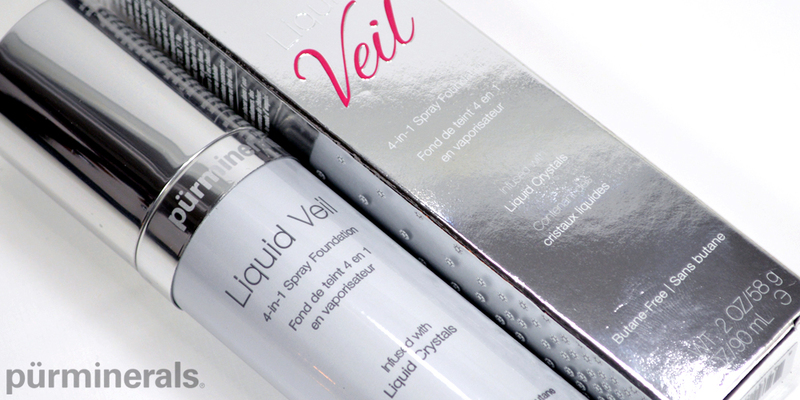 Have you tried this Liquid Veil Spray Foundation ? What is your favorite foundation? Share your thoughts in the comments! Your skin looks really dewy and soft. I haven't tried the spray foundations but I definitely think I need to give it a try! Interesting. I also assumed airbrush foundation was sprayed directly onto your skin cause if not, what's the point of getting an airbrush one versus a regular one? Might be worth a try though, just not sure about the fact that it dries quickly so it can go to waste if you don't use it ASAP. Thank you for sharing! It's nice to see the post!